16 Fantastic, Fun and High Energy Birthday Party Ideas for Boys or Girls! 1. Create a Street Fair in your backyard! One year, we rented a bounce house, had a friend make balloon swords and hung a large roll of paper on the house for the kids to paint. I also provided old t-shirts for them to paint in. Add some balls, sidewalk chalk and bubbles and you have a great outdoor party. We even had snacks and cake outside, much easier to clean up! There are several companies that rent inflatable movie screens along with the projector, that you can set up in your yard. Add some popcorn, movie candy and drinks and you are all set! There are so many beautiful parks in our area that rent pavilions. Outside parties are great, especially when they are near a playground and some open space for the boys to run! You don’t need to plan a lot of extra activities, the kids know what to do! AquaFit Plano and Emler both offer great ideas for swim parties for kids. So do many local recreation centers. For example the Tom Muhlenbeck Center in Plano is super popular for swim parties and both my kids always have a blast when they go. Most boys are Lego crazy, I know my son is! Some of the Lego stores may offer birthday parties but this is a great theme party to host at home. You can give each child a small box of Legos as a party favor and let everyone build, build, build. They love to have competitions, combine creatures and make cars that go fast. Every year my son’s birthday falls at the same time as the North Texas Irish Festival, one of our favorite events. You can take a couple of friends and let them enjoy the festival together. An outing like this is often fun and unique for all the kids! This is a favorite for all ages and never goes out of style. Even the parents will enjoy playing! A fairly recent addition to the party arena, you can hire a video game truck that has all the newest games set up, great screens and a fun atmosphere. My son went to one of these parties recently and is begging to do the same for his next birthday. One of the most fun parties we ever hosted was at a local climbing gym. The boys had so much fun and were completely tuckered out at the end! I don’t know about your boys, but my son has an entire arsenal of Nerf Guns and has way more fun when he has someone to play with. Organize teams, set some rules, give everyone plenty of foam darts and let them go! Another high energy and outside party idea. Much more affordable than laser tag, too. Main Event throws great parties for kids. You can usually do bowling, laser tag and play video games all in one party. Plus, they have great party hosts and lots of locations to choose from. See number 12. Boys love laser tag! This is super popular with my son and his friends right now, plus it’s very affordable. If you have never heard of Whirly Ball, think bumper cars, basketball and lacrosse, all in one. Very fun and inspires both healthy competition between the teams and lots of giggles. I am surprised by how popular roller skating is. I remember skating a ton when I was in my tween years. Nothing has changed, kids still love to roller skate, crash into each other and spend as much time falling down as they do skating. A nice alternative to the bounce house places, there are several new companies like JumpStreet that are offering trampoline parties and have large facilities that are wall-to-wall trampolines. I am sure there are many other creative ideas for birthday party ideas for boys. These are just a few of the ones we have either hosted or attended in my son’s 13 years! He still loves having a big party and hanging with all of his friends. One positive thing I noticed is how much time he took reading all of the funny cards last year. It wasn’t just about the gifts! It’s been fun to watch him and and all of his friends grow up together. If you need more birthday party ideas or are trying to find birthday party venues, check out our DFW Birthday Party Guide. And of course, these party ideas are not just for boys but would be great for boys or girls. I have always found it so much easier to plan my daughter’s parties than my son’s because he has always needed a venue that was more active. My daughter is more content with a few girls and an art project at home but my son wants lots of friends, lots of noise and lots of action. 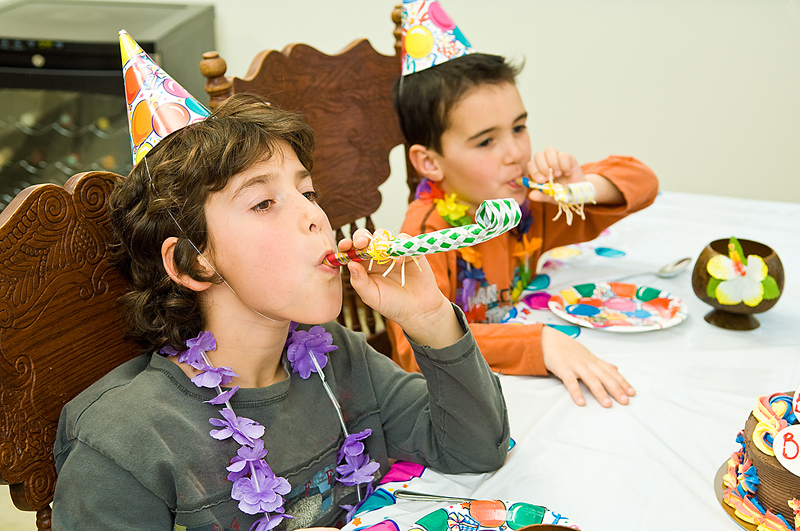 What have been some of your best boys party ideas? Share them here. Good article, but geared towards big boys. I’ve seen the toddler guide too, but they are the ‘usual suspects’, hoping for something cool, new and different for boys in the 2-5 set, like at home princess parties for girls! I will be on the look out for something like that, I too have a 3 year old boy and always looking for NEW cool places and ideas. A place/company that did something like a “Pirate comes to your home with a treasure chest” — Maybe you should start a new business 🙂 Seems like there is a need for characters for boys right ? Check out http://www.simplypretend.com. She offers dress-up party rentals with themes for boys and girls! I love your newsletter and ideas; however, I wish you had described this as birthday ideas for KIDS. These are all activities girls would enjoy as well. Totally agree with your comment J. Hunter! I was working on my list for girls and many of these ideas do cross over. My daughter has even done some of them, that list will be published soon and you will see the similarity. Kerri’s comments about trying to find party ideas for boys like the home princess parties was my motivation. There is so much stuff out there for girls right now and not enough creative ideas for boys. Simply Pretend does offer dress-up trunk rentals with pirates, cowboys, superheroes and other fun characters that would appeal to a broader range of boys or girls. I have found it hard to find original, creative ideas for boys when they get to be 11 and up, especially for my son who is very active. Would love any additional suggestions! You can also try a fencing class! Cutting Edge Fencing in North Richland Hills offers a two-hour birthday party where kids ages 8 and up learn to fence, try on gear, and compete against each other. Fun, fun! This is going to keep boys busy for many birthdays to come. Thanks for the wonderful article.